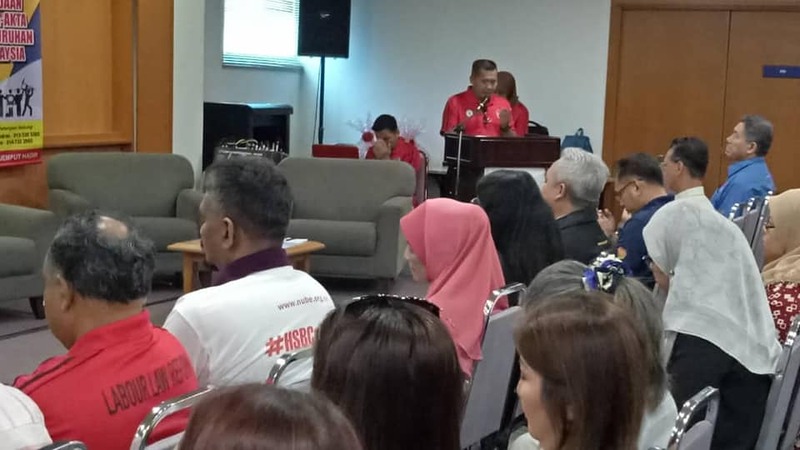 Nube Solomon: April 7, 2019, Wisma Perkeso Sabah. 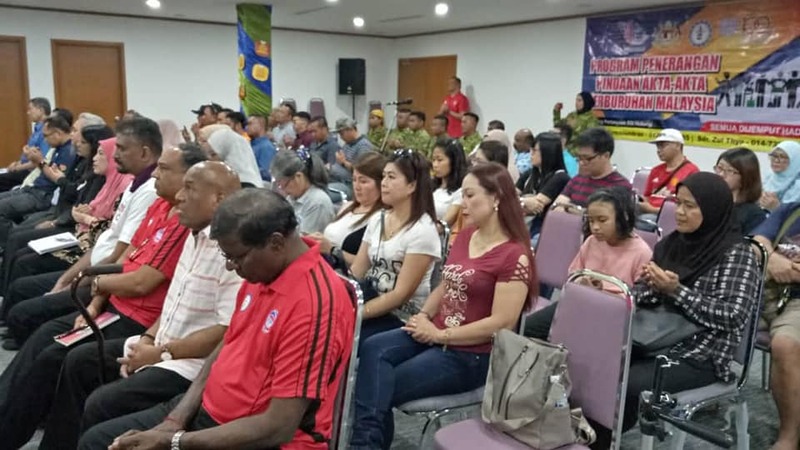 The Labour Law Reform roadshow for the 7th series continued at the Wisma Perkeso Sabah today. 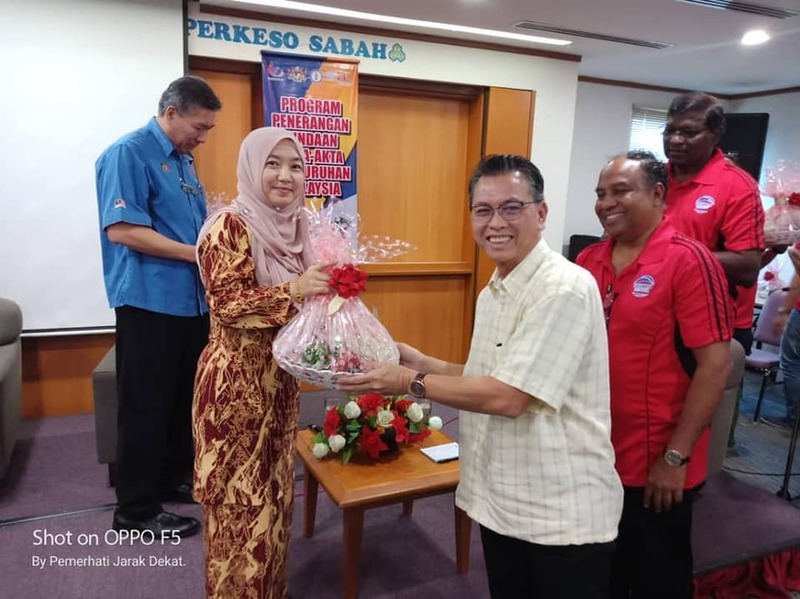 Putrajaya as the second panelist while , Puan Maziah Maon,Head of Assistant Director,JTK Sabah was the third panelist from MOHR. 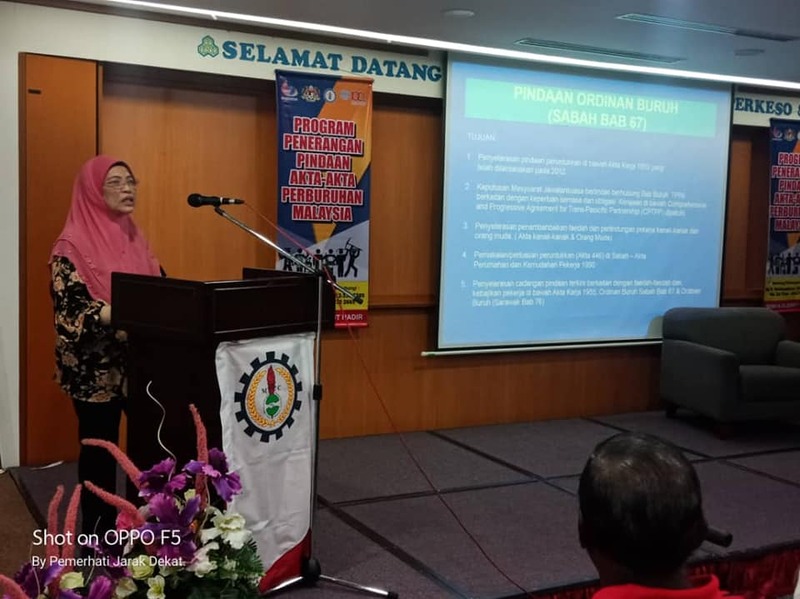 Puan Zazurainy Bte Zainuddin from MEF of Sabah, as the fourth panelist and the final panelist for the Worker was Sis Catherine, the Hon Secretary of Sabah MTUC Division and also the Technical Committee of the LLR. 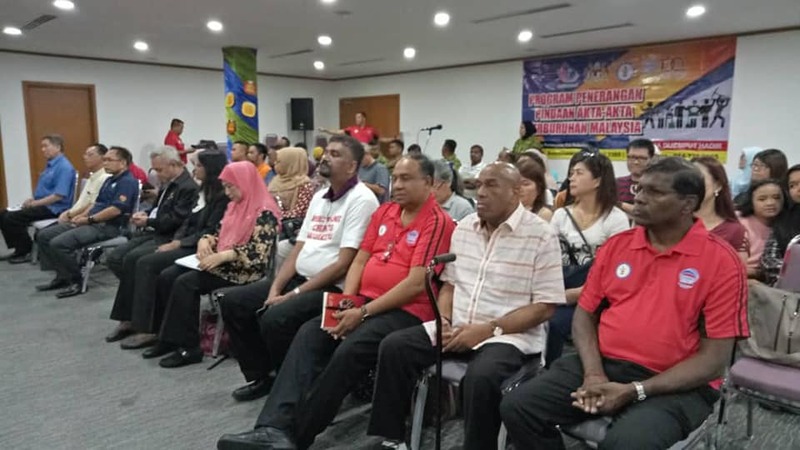 While MTUC HQ was represented by Bro J Solomon, MTUC Secretary-General, Bro K Soma, Assistant Secretary Education, as the moderator for the panel discussion, Bro Awang Ali, MTUC Sabah Chairman, several MTUC leaders from Sabah and from the task force and nearly 50 union members from various sectors in the state of Sabah participated. Master of Ceremony, Sis Maimunah welcomed everyone and followed by reciting of doa by Bro Azli of the task force. 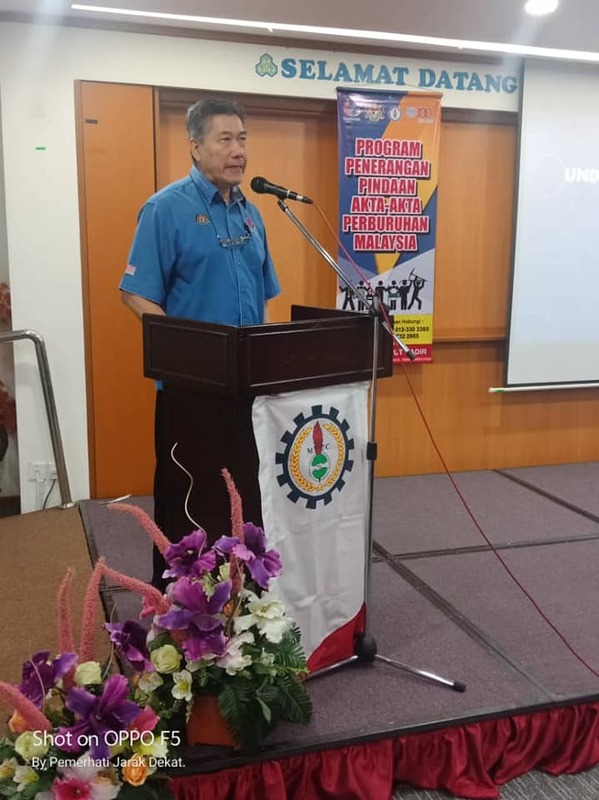 Bro Awang Ali, Chairman of MTUC Sabah division welcomed the attendance of all participants in the program.He thanked the Secreteriat Office of MTUC Headquarters and all the task force for the effort put in to have the roadshow done throughout the country and today in Sabah. He is also very happy to welcome Bro Raghwan and all the government officials from Putrajaya to make this program a success. 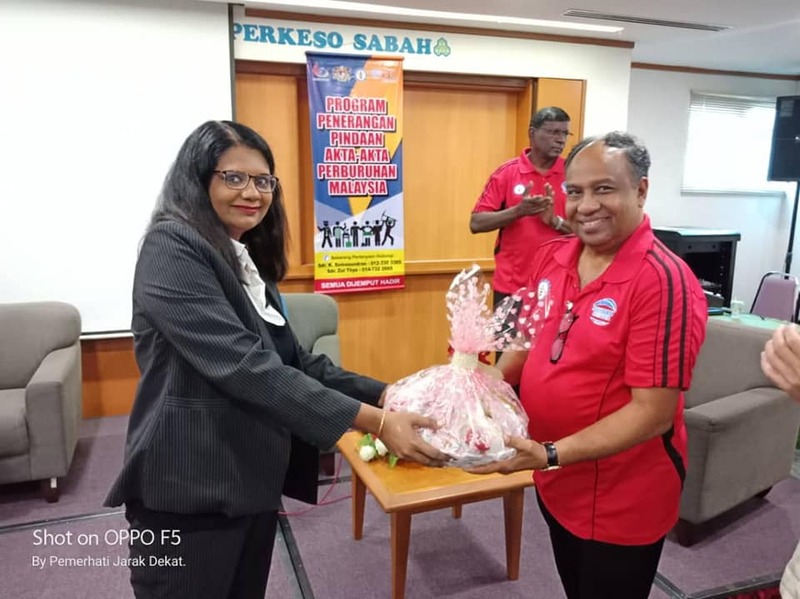 MTUC is indeed very happy to have the pleasure of Bro Raghwan from the ILO who has been consistently guiding MTUC and assisting the participants and leaders in preparing for the LLR. 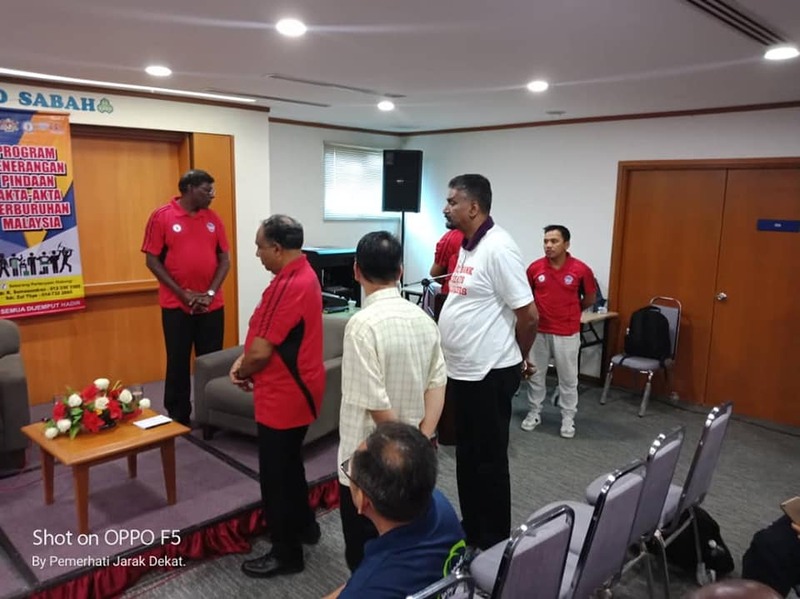 He has been with us on most of the roadshow and even for Sabah he was having a meeting in S’pore and immediately after the meeting he travelled to Sabah to join us. 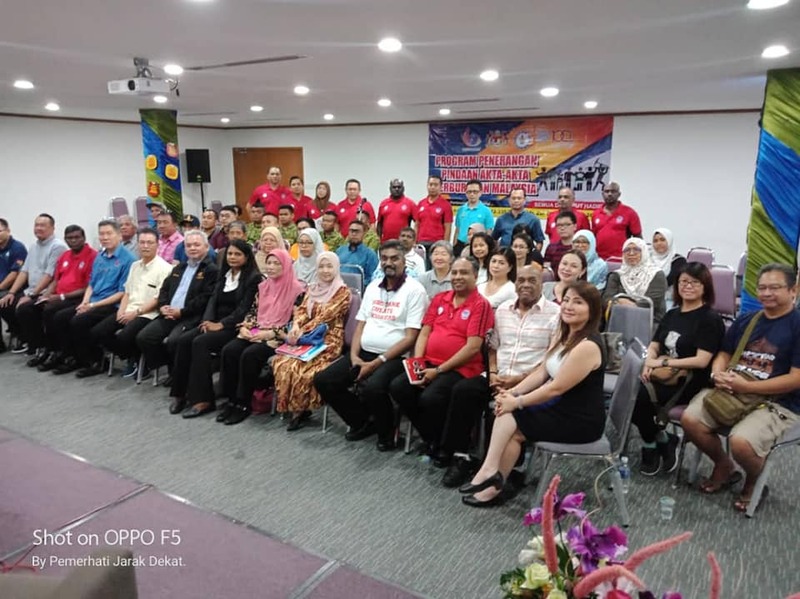 His sincerity in ensuring that the LLR is done correctly in accordance to the International Labour Standard and his support and encouragement for C 87 to be ratified by the government is much appreciated by MTUC. 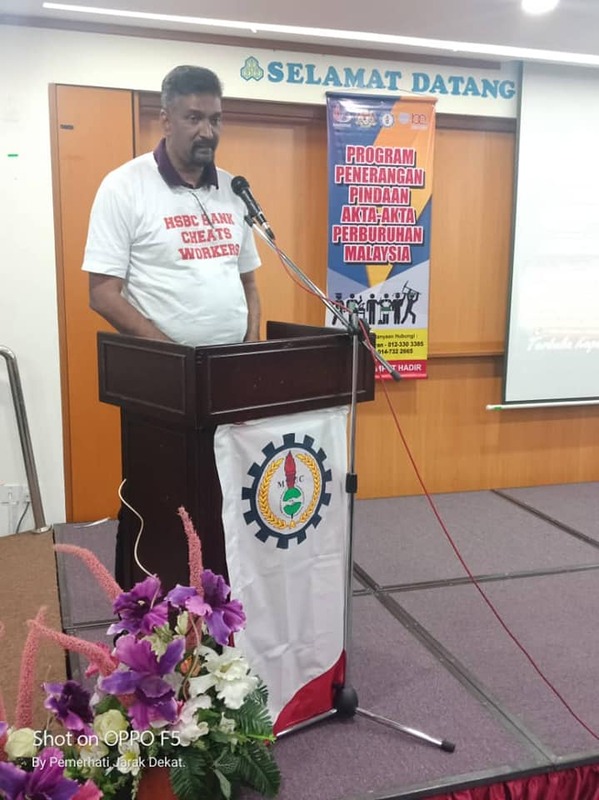 Bro Raghwan during his speech mentioned that it is indeed a great plessure for him to be in this process with MTUC. The process of changes in the Labour Law is very positive. During his short briefing of C87, it is important for all the tripartite body. A good Industrial Relations will help the country development and economies, where issues can be resolve very fast and effective which is good for the country. 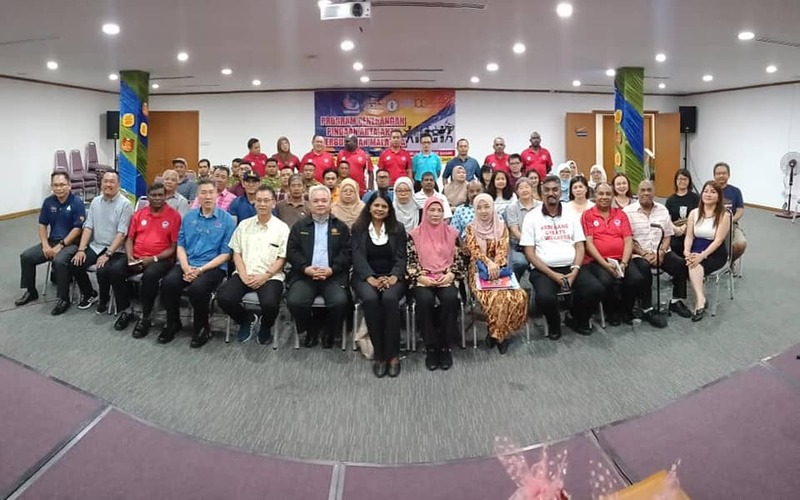 He also appreciates and is happy to see the effort and good collaboration from the government ministries, employers and MTUC in the Labour Law Reform process which can’t be seen in any other country. 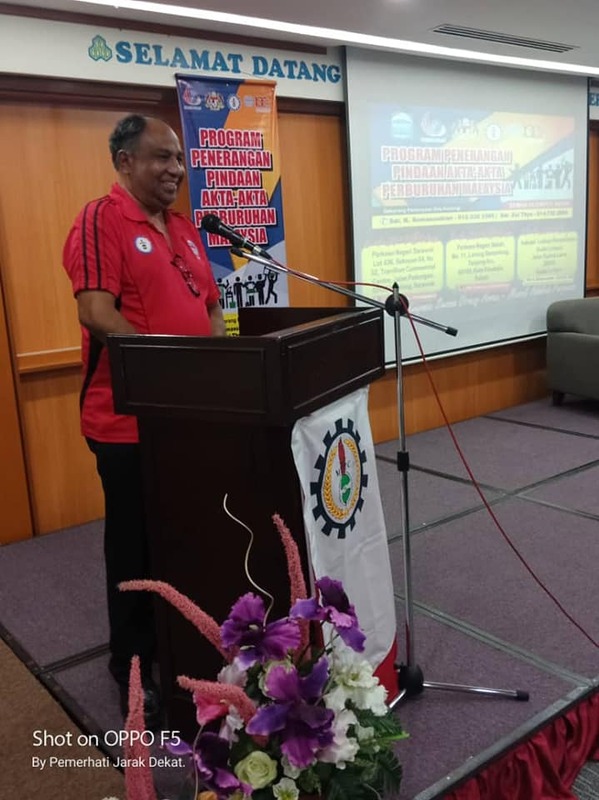 Bro J Solomon, MTUC’s Secretary-General in his speech welcomed all participants.He also thanked the Perkeso Director who attended today in the program and facilitated MTUC to use the hall. And lastly, he also thanked the RELA officers whom are here with all other participants. 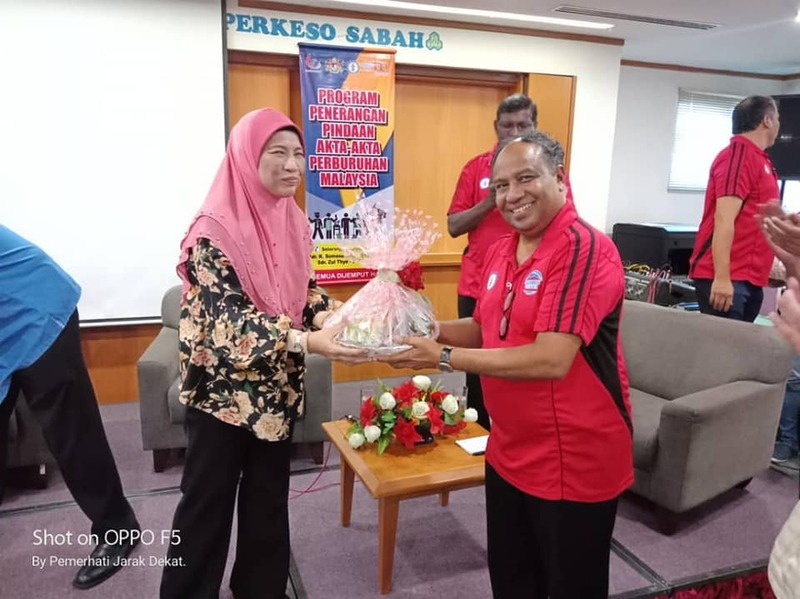 He explained the purpose of the program being undertaken by MTUC throughout the states in Malaysia and today in Sabah. 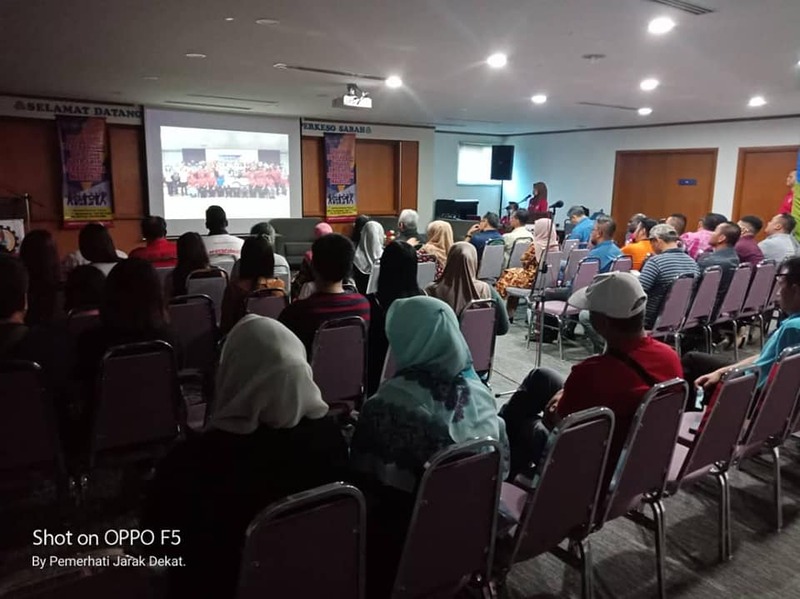 It is very useful that the program is organized to ensure that all workers, union members and union leaders as well as the public know and understand the ongoing Labour Law Reform in Malaysia. The LLR is very significant to all stakeholders in view of most of the laws are archive. 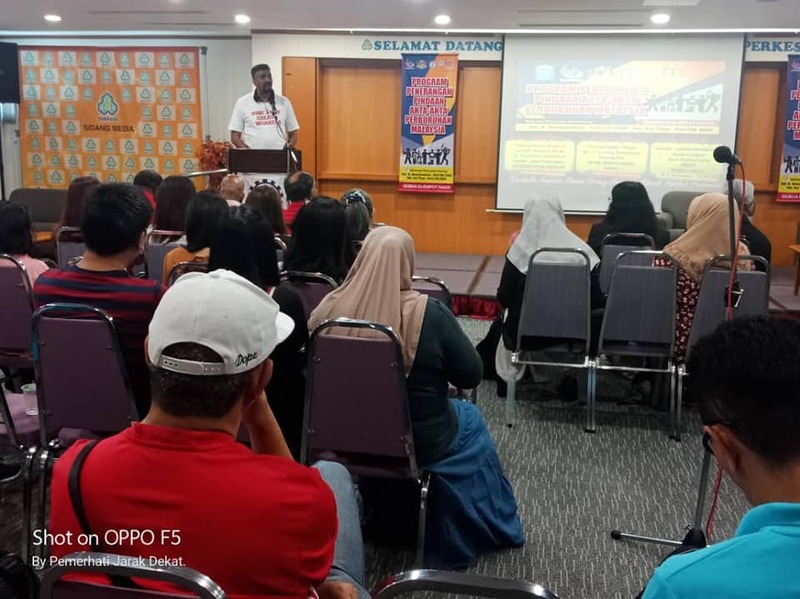 He thanked all the task force members who made this LLR Roadshow possible to explained to the workers and to especially YB Tuan Kulasegaran without his initiative and determination the LLR will not be taking place. We have waited for 60 years for this change. 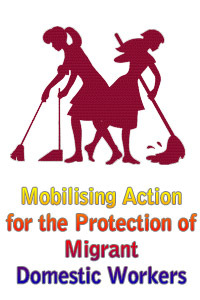 Most of our Labour Laws are archives and does not favour workers rights based on our current situation and consequently the weakness of the Union is seen in the wages of workers which has a wide gap and it is time that we have to ensure that all of us take the opportunity to understand the process of amendments to the Labour Law reform and disseminate to all members. The attitude and mindset of all stakeholders must also change in parallel with the changes in the labour laws. 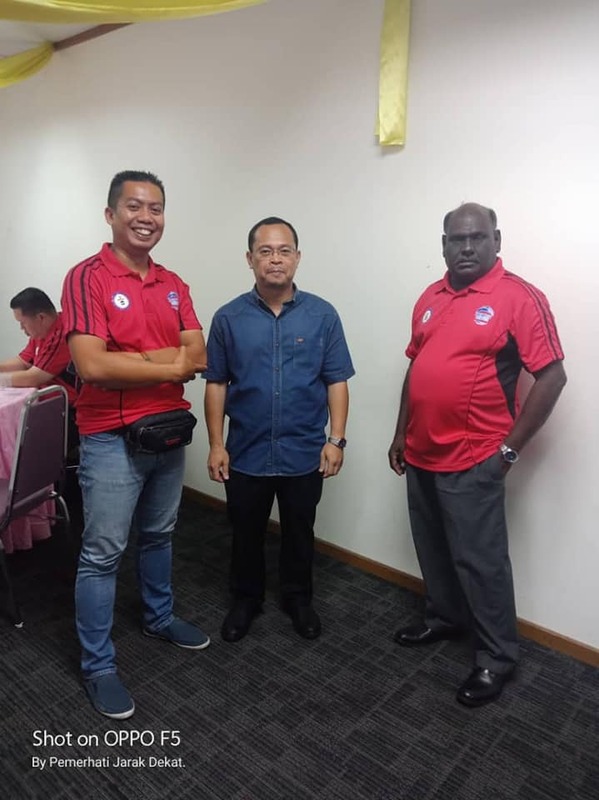 MTUC is reviewing the LLR process very seriously and that is why we are taking the initiative to travel around and listen to the workers and members views. 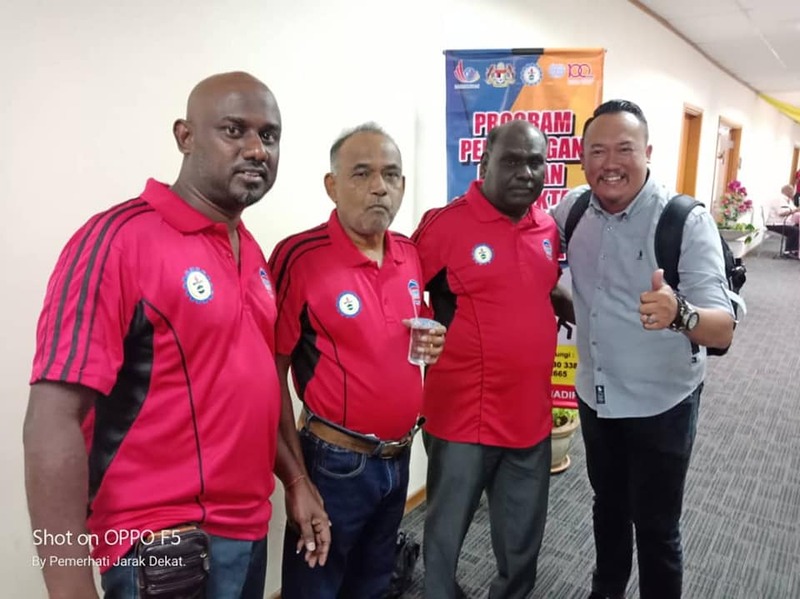 He also hope that, in future we should have more participants from trades union members to attend the LLR meetings as it is a golden opportunity for workers to have a meaningful social protection through the independence of the Unions when organised by MTUC. This is important, as it will reflect the supports from the members to their Union leaders as their deliberate in the Technical Committee. 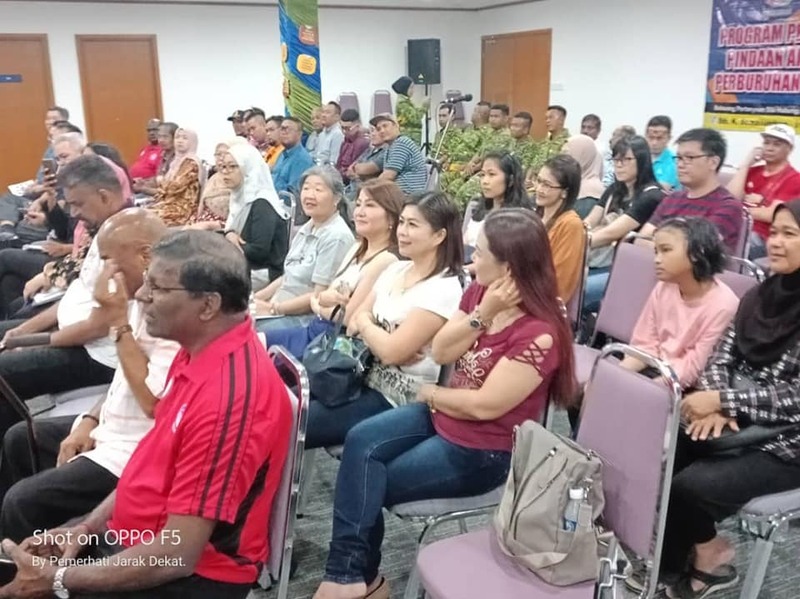 Further, the program continued with a panel discussion.The MOHR reps and MEF rep gave their views while Workers Rep Sis Catherine, also gave her views under the workers prespective and Sis Catherine echoed the demand from Sabah workers that the Sabah Labour Law Ordinance and the other Ordinances must be reformed. 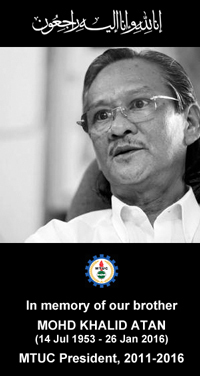 Importantly it is a demand from Sabahans that the Directors in the KSM of Sabah should be led by Sabahans.